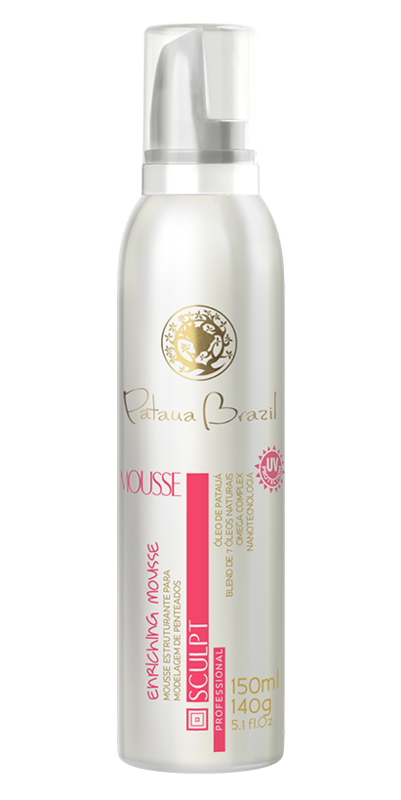 SCULPT PATAUA OIL was developed to offer reparation, discipline and shine, with intense thermal and antioxidant protection against UV rays, for damaged, dry and chemically treated hair. Seal hair cuticles, repairing points without weight, through the fusion of elements such as Patauá oil, a blend of 7 natural oils, Omega Complex and vitamins, that work fixating repair elements to damaged areas of the threads. Restore chemical damages to the hair,leaving them strong and healthy. Recover threads with absolute shine. SCULPT ENRICHING MOUSSE was developed to offer modeling, high fixation and structure, with smooth and anti-drying action for the hair in work hairstyles and daily usage. Makes possible the creation of several looks and styles without damaging threads, because its formulation of prepared through the fusion of elements such as Patauá oil, a blend of 7 natural oils, Omega Complex and Nanotechnology. Deliver hair with longstanding modeling, smooth and absolute shine. 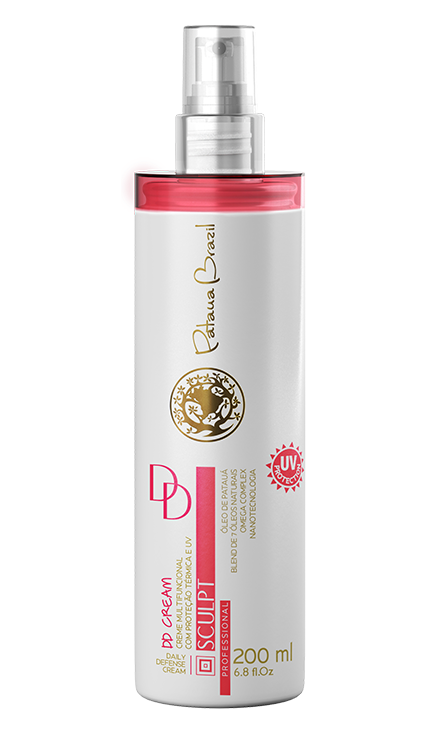 SCULPT GLARE SHINE was developed to offer shine, luminosity and discipline, with smooth and antifrizz action for the hair in work hairstyles and daily usage. 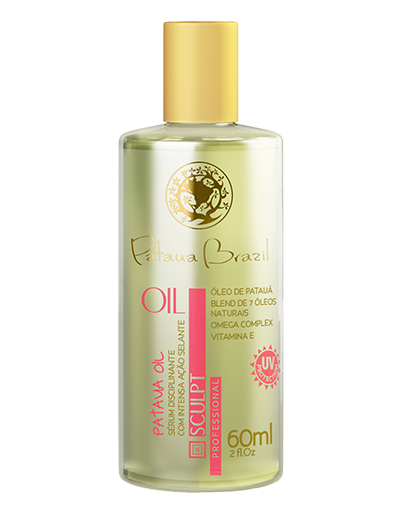 Make possible the creation of several looks and styles, through the fusion of elements such as Patauá oil, a bend of 7 natural oils. Omega Complex and vitamins, that work fixing repair elements to the threads, delivering a hair with longstanding absolute shine. SCULPT DAILY DEFENSE CREAM was developed to be used as a leave in or before thermal services with the hairdryer, offering multibenefits such as reparation, discipline, volume control, thermal protection, antioxidant action, immediate extricate, shine, hair end reparation, durable brush effect, UV protection and intense softness, damaged, dry and chemically treated hair. Seal hair cuticles, repairing points without weight, through the fusion of elements such as Patauá oil, a blend of 7 natural oils, Omega Complex and Nanotechnology, that work fixating repair elements to damaged areas of the threads. Restore chemical damages to the hair, leaving them strong and healthy. Recover threads with absolute shine.